Children and teens who are overweight or obese may be more likely to develop asthma, a U.S. study suggests. While obesity has long been linked to asthma in adults, research to date has offered conflicting evidence about whether this also holds true for young people, researchers note in Pediatrics. The current study followed more than 500,000 kids, ages two to 17, for an average of four years. Overall, about eight percent had been diagnosed with asthma. Compared to kids at healthy weight, overweight children were 17 percent more likely to have an asthma diagnosis and obese youth were 26 percent more likely to have an asthma diagnosis, the study found. This was based on a diagnosis or asthma drug prescription but not on breathing test results. When researchers looked at the connection between asthma and obesity based on so-called spirometry tests that show how easily people can breathe air out of their lungs, the link was stronger. Obesity was associated with a 29 percent higher risk of asthma based on this stricter diagnostic criteria, the study found. The study wasn’t a controlled experiment designed to prove whether or how being overweight or obese might directly cause asthma, but the results offer some of the most compelling evidence to date suggesting that there is indeed a connection, said lead study author Dr. Jason Lang of Duke University School of Medicine in Durham, North Carolina. “Experts have speculated that abnormal lung growth associated with obesity causes airflow obstruction,” Lang said by email. Obesity can also trigger the development of so-called cardiometabolic risk factors like high cholesterol and an inability to use the hormone insulin to contribute blood sugar into energy that may lead to impairment in the airway, Lang added. “Several studies have shown that asthma symptoms get much better with weight loss but the exact mechanism is unknown,” Lang said. An estimated 23 percent to 27 percent of new asthma cases in children with obesity may be directly attributable to obesity, researchers calculated. If no children were overweight or obese, 10 percent of asthma cases would be avoided, they estimated. One limitation of the study is that researchers relied on medical records kept by clinicians, and documentation of an asthma diagnosis or ordering of spirometry is at doctors’ discretion, the researchers note. It’s also impossible to determine from the study whether asthma might lead to obesity or whether obesity might lead to asthma. 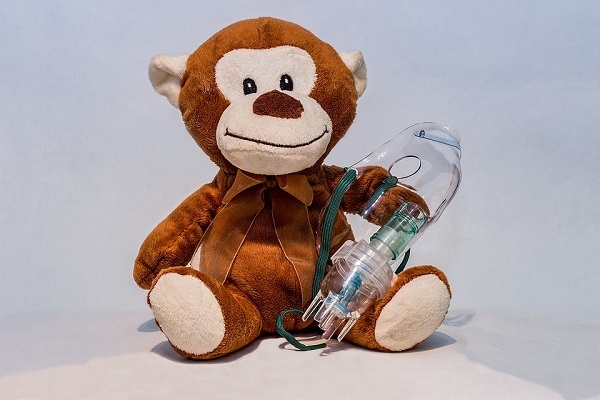 Even so, the results suggest that it may be possible to prevent the development of asthma by helping children maintain a healthy weight, said Dr. Deepa Rastogi, director of the Pediatric Asthma Center at Children’s Hospital at Montefiore in Bronx, New York. Even with asthma, kids can exercise to help them achieve and maintain a healthy weight, Rastogi said by email. “Children with asthma can be as active as they want to be – we have had Olympic level athletes with asthma,” said Rastogi, who wrote an editorial that was published with the study.